A simple, elegant design in fine, lightweight 100% wool. 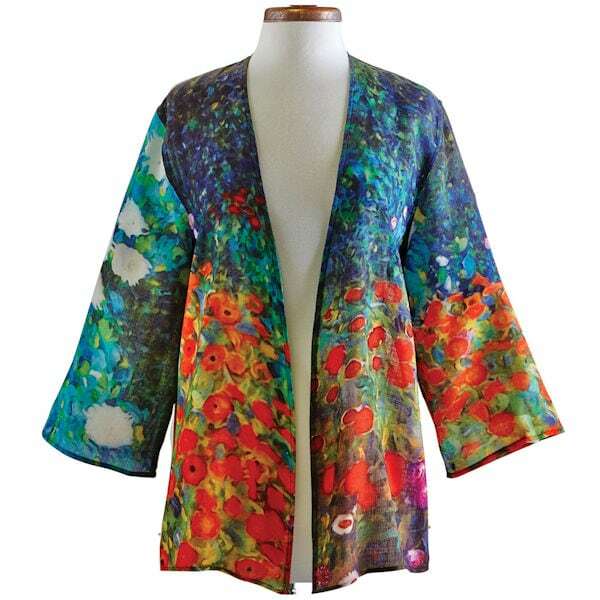 The vivid print is adapted from Gustav Klimt's "Farm Garden with Sunflowers" (1912). Open neck, 3/4-length sleeves, slight flare. Impeccably finished inside and out. Hangs about 28". Dry-clean. Imported. Sizes S/M(6-10), L/XL(12-16).